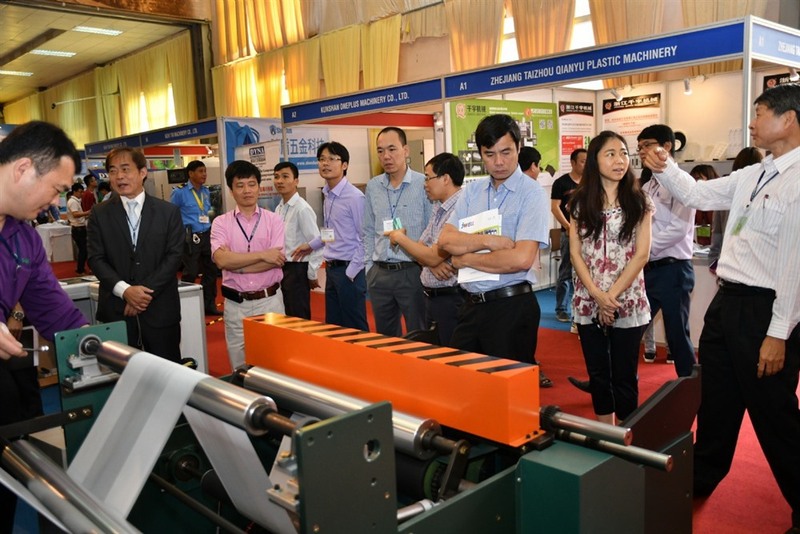 HCM CITY — The 2019 Hanoi Plas Print Pack, a biennial international exhibition on the plastic, print and packaging industry, will be held in Hà Nội next month with 50 per cent more exhibitors than last time. The 10th edition has attracted 180 exhibitors from 10 countries and territories – India, Taiwan, the Netherland, South Korea, Hong Kong, Malaysia, Japan, Singapore, China, and Việt Nam – and will feature South Korean and Taiwanese pavilions. In the printing segment, Trường Thịnh will introduce German industrial inkjet printer Leibinger while Queesense will present aniline printers for polyethylene, mobile phone, paper, and other packaging materials. To be organised by the Việt Nam National Trade Fair and Advertising Company (Vinexad), Yorkers Trade and Marketing Service Co Ltd and the Việt Nam Plastics Association, the exhibition will be held at the Hanoi International Exhibition Centre from April 24 to 27.